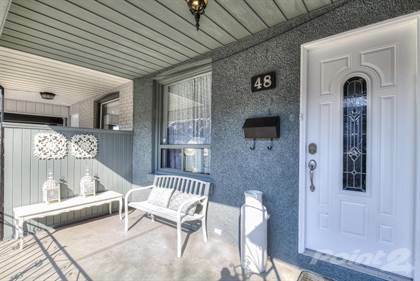 This Wychwood beauty is perfect for growing families looking to live on a quiet street in the city. Move in ready and offers 3 large Bedrooms, powder room on main floor, updated Gourmet Kitchen with Gas stove, granite counters and stone back-splash, Leading To the private Backyard. The separate 1 Bedroom in-law suite in the basement With Ensuite Laundry offers great income potential. Surrounded by parks, steps from TTC and trendy St Clair West and minutes from downtown core. \rPrivate patio on the 2nd floor with spiral staircase leading to the backyard. Includes 2 Fridges, 2 Stoves, 2 Sets Of Washer/Dryer, Electric Fire Place, and light fixtures. Exclude window coverings. Hi, I'd like to find out more information about 48 Marchmount Rd. Thanks so much!